The recruitment process has become increasingly impersonal -- for both candidates and recruiters -- and it's obvious both sides aren't satisfied with the experience. The challenge? Each side has very different ideas about what makes the other side tick -- and what needs to be done to improve the experience. 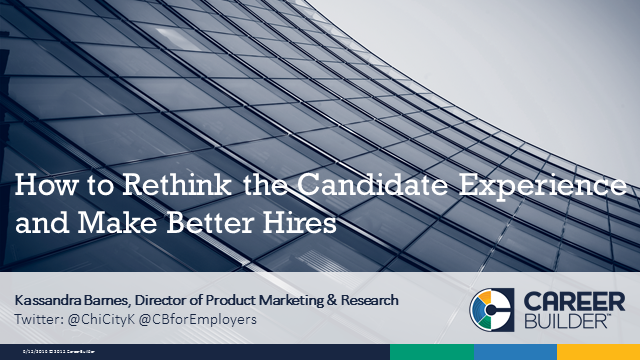 Join us to learn more about the latest Candidate Behavior insights based on our 2016 study.